Vigan – Ilocanos comprise the third largest ethnolinguistic group in the Philippines, whose population are the largest in Region 1 or the Administrative Region located on the northwestern coast of Luzon. According to recent studies, the Ayta, Atta, or Agta, more commonly called the “Negritos,” were the primary wayfarers of the Ilocos region between 30,000 and 50,000 years ago. Their subsequent assimilation with other Malay settlers propagated the descendants of the modern-day Ilocanos. However, further studies have to be conducted to confirm these findings. “Industrious” and “determined” are just some of the adjectives associated with Ilocanos. Most of them are farmers who make ends meet through cultivating crops such as rice, corn, tobacco, and garlic. Although abundant in agricultural profit, the inhospitable climate of the region and the booming population made it difficult for locals to bring in adequate earnings. This hardship has forced many to explore alternatives and migrate out of their hometown to better places. Today, the Ilocanos are the most migratory of all Filipinos, extending their community to the islands of Visayas and Mindanao and even as far as the United States and Europe. The majority of Ilocanos settled in Central Luzon, Cagayan Valley, and Metro Manila. A large community can also be found in the island of Mindanao, particularly in the areas of North Cotabato, Zamboanga, Sultan Kudarat, and Davao, many of whom relocated to the area after World War II during a government-sponsored migration offered by then President Ramon Magsaysay. Last year, in North Cotabato alone, Ilocanos were reported to comprise at least 65% of its total population. The influx of Ilocanos in Hawaii begun in 1906, when many of them went there to work as laborers for sugarcane plantations. After some time, most of them moved to the mainland United States. As a result of the growing populace, the Ilocano language has since been taught in a handful of schools both in California and Hawaii. 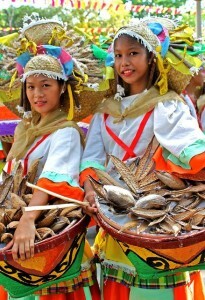 Ilocanos are proud of their culture and are not shy to share their customs and traditions, consequently influencing their surrounding community. Their selection of appetizing grub has been one of their most significant influences to date. Ilocanos are regarded as “weed-eaters,” as their cuisine mostly features vegetables. Renowned dishes, such as “pakbet” or “pinakbet” consisting of assorted vegetables, sili, and bagoong, have made their way into the mainstream and have become staples in every Filipino table. And how can one resist such delectable treats like the tupig, empanada, and bilo-bilo? An alcoholic beverage made of fermented sugarcane juice called basi is likewise a popular trademark of Ilocanos. One admirable trait of Ilocanos is their frugal attitude towards money. It has become such an ingrained aspect for most Ilocanos that they are automatically stereotyped as tightfisted. The harsh reality of life was what prompted many of them to save every hard-earned penny, as life was difficult in the early days for most people in the Ilocos Region. Situated between the barren lands of the Cordillera and South China Sea, only tobacco was known to grow in the area at the time. Hard work and the aspiration to improve their lives made them value their money highly and spend it wisely. In 2012, however, a study conducted by the National Statistical Coordination Board (NSCB) to determine which region had the most prolific savers showed that Ilocanos were no longer the thriftiest Filipinos and ranked only 6thamong 17 regions. This year, Ilocos Norte also registered the lowest poverty incidence rate with only 15 percent and has been included in the least poor cluster of provinces in the country. A huge amount of their income usually goes to their children’s education, which explains why a large percentage of the group are literate or has proper education. This doesn’t come as a surprise since five of the country’s former Presidents were Ilocano natives, namely Elpidio Quirino, Ramon Magsaysay, Carlos Garcia, Ferdinand Marcos, and Fidel Ramos.